It is critical to understand the multitude of variations of customer loyalty if a company is to win customers, increase market share and achieve high performance. You’ve gone to great lengths to identify and nurture the most valuable segments of your customer base. You’ve closely monitored them through surveys and focus groups, and you know they consistently indicate they are “highly satisfied” with your company and its products. But … are they loyal? If you’re like most companies, you don’t really know – at least, not for sure. And that’s a problem. The loyal customer is perhaps the most elusive subject in all of management science. And a recent customer loyalty study suggests that the psychology at the heart of customer buying patterns and preferences is far more complex than previously thought. Different variations of customer loyalty must be understood if a company is to win the long term battle for customers and market share. Understanding, nurturing and ultimately serving these different forms of loyalty is essential to a company’s “market focus and position” – one of the three building blocks of high performance. Through their market focus and position, high performers achieve a kind of strategic decision making capability that enables them to compete in the best markets and maximize growth opportunities, without reaching or scaling beyond their capability to do so. Companies with an overly simplistic view of loyalty and of their customers are likely to have a misguided market focus and position, taking them down errant and expensive paths that can leave them poorly equipped to compete. What makes customer loyalty such a vexing matter? Some loyalty challenges are inherent in the current market. Customers, for example, are harder to reach and impress than they used to be. Many traditional marketing channels have been weakened as consumers pursue various “market of one” activities: iPhones, iPads, iPods, video games and movies on demand that allow commercial skipping. In the hypercompetitive Internet age, customers also have more pricing information and more buying options than ever before. But a number of misconceptions about loyalty have also led companies to make misguided investments in customer management programs. Another misstep is thinking that because a company has a loyalty program in place, it is doing all it can to improve customer loyalty. Loyalty programs are one part of an overall loyalty strategy, but they lack the nuance that gives companies the ability to target the most profitable segments. Senior managements have also diluted efforts to encourage customer loyalty through the attitude that “it’s marketing’s job.” Marketing has a vital role to play, to be sure. But developing customer loyalty is a team sport. Human resources, product development and pricing, operations, and sales and service must all be pulling in the same direction to generate the kind of loyalty that produces high performance. To attract and retain the most loyal and profitable customers, a company must first understand the true drivers of loyalty: the customer attitudes that, in turn, drive the different types of behaviors that must be understood and nurtured. 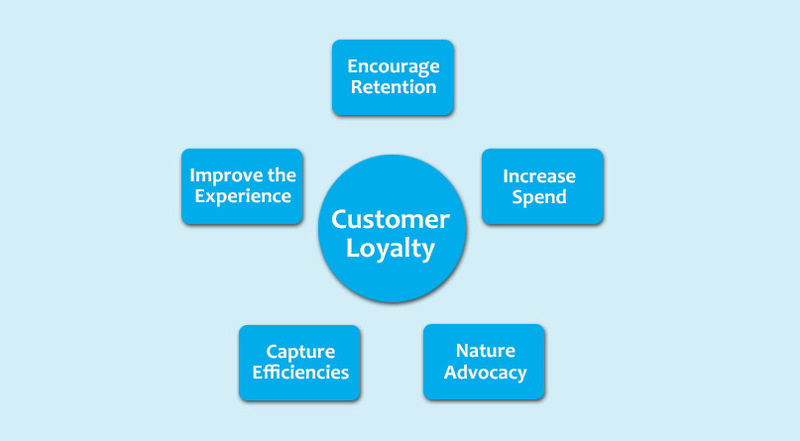 To enable better analysis of different kinds of loyalty drivers. At the heart of the model is a better delineation of the different types of loyalty customers exhibit. These types can be understood as spectrums of attitude and behavior along three dimensions. How interested are customers in the category’s products and services? Are they active and engaged participants in loyalty programs? Are they “heavy” users of the category and enthusiastic about the category in general? How passionate are customers about the brands they buy? Do they identify themselves with a brand and develop deep ties to it? Do they care about the fate of the brand? Are they willing to pay a premium for the brand? Are they advocates for the brand with people within their family and social network? Much as educators have discovered that teaching a subject helps a person understand the content more deeply, leading companies have discovered that the very process of advocating a brand to others creates deeper loyalty to that brand. How prone are customers within a particular product or service category to re-evaluate their current buying choices? What are the most important shopping triggers? What barriers exist or might be erected against switching brands? For example, do changes in personal circumstances, such as income level or moving to a new home, trigger a re-evaluation of alternatives? By analyzing the behavior and attitude indicators of this three-part model, different loyalty segments emerge, each with its own distinct loyalty drivers. Companies that recognize these nascent segments can improve their market focus and position by identifying previously unseen markets within markets. They can then design marketing, sales and service strategies to deliver a unique customer experience within each sub-segment. The following examples demonstrate how this loyalty model can help companies compete on customer loyalty. With the equivalent of 550 billion bottles sold annually worldwide, beer is a $1000 billion global business. The marketing efforts of many of the largest brewers have, for the most part, been aimed at retaining brand loyalists by appealing to their competitive nature, asking them to identify with a brand much as they would with their favorite sports team. Using our three-part loyalty model, this means beer companies have been targeting customers with high category involvement (that is, they like beer), high brand involvement (that is, they are loyal Heineken or Fosters or Blue Tongue drinkers, for example) and a low likelihood to re-evaluate. Yet a marketing approach targeted primarily at brand loyalists ignores a significant sub-segment of the “high category involvement” customer base: drinkers of micro-brewed, or “craft” beers. These customers are after not only quality but also variety. They are loyal, not in the sense that they can be counted on to order their favorite brand of beer again and again, but in their commitment to a diversity of experience. Such buyers constitute a growing market. By meeting a customer’s need for variety within the overall brand, companies can build greater long-term loyalty in a segment that might otherwise have seemed to defy loyalty. Consider another category of buyers whose loyalty patterns can fool companies: habitual buyers. If your company sells soft drinks or snack foods, for instance, you can easily take for granted the steady business from your retail outlets. But as one soft drink maker found out several years ago in a spat with a leading Supermarkets in the United Kingdom, nothing is a sure thing. They pulled the brand from its shelves and substituted its own private-label brand. Within months, the private-label brand was one of the best-selling soft drinks in the United Kingdom. What happened? Shoppers were more loyal to the store than to the soft drink brand. In the context of our loyalty model, the brand commitment for these customers appeared high, but for a substantial segment of the market it was, in fact, quite low. Because re-evaluation was also quite low, it was only when customers were forced to rethink their purchase that the true nature of this segment’s loyalty became apparent. So if loyalty comes more from purchase habit than brand preference, what becomes crucial is the third dimension of the loyalty model: that is, what the company must do to reduce the likelihood of re-evaluating. One method used by market leaders to lower the risk of re-evaluation is to embed themselves inside the supply chain of buyers through approaches like vendor-managed inventory and continuous replenishment. These suppliers restock store shelves (for example, snack foods in grocery aisles) and companies’ production inventories (say, cooking oil) on a continual basis, relieving the buyer of the need to constantly reorder to maintain supply. Becoming a quiet but essential player in the supply chain not only adds value for buyers in terms of ease of management, it also avoids the risk of buyers rethinking their supplier choices every time they fill out a purchase order. Creating the right loyalty capabilities in a company, and then effectively managing customer loyalty, demands what might be called an “engineering” perspective. That is, it requires a data-driven approach that enables a company to analyze and understand the different configurations of loyalty drivers among its customers, and that supports long-term initiatives to shift and evolve the market focus and position of the company based on those customer configurations. It is important to combines detailed steps involving insight, strategy, execution and measurement, as well as essential enablers such as leadership, technology and organizational design. Most organizations continue to place more emphasis on customer acquisition than on customer loyalty. That can be an expensive mistake. A rigorous analysis of the comparative costs of acquiring new customers and retaining existing ones can be eye-opening. For example, one telecommunications service provider recently conducted an analysis of different customer churn models, mapping various churn percentages to the number of customer acquisitions that would be required to offset the losses. The company found that more effective customer loyalty programs were more important than customer acquisition programs. Only by challenging long-held beliefs with hard facts and figures rooted in the company’s business model and financial targets will change be effective. It is absolutely imperative that the full costs and benefits of a revitalized loyalty strategy are explored across all aspects of the organization to ensure that initiatives gain senior level endorsement as part of the company’s overall growth plan. Understand the different types of loyalty that exist within your current customer base and across the wider market, and how each type influences the risk of defection and the possibility of achieving even greater loyalty than you currently have. Leverage loyalty-driver insights to plan distinctive customer experiences that create and sustain each type of loyalty. Use an integrated approach to generating customer loyalty that involves a coordinated series of initiatives across the following five dimensions. 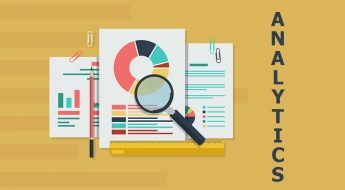 Insight – Use sophisticated data mining tools, behavior analyses and external research to understand different segments of the customer base over time. Strategy – Align loyalty drivers to the customer experience, and ensure that the brand values are consistent with the needs of targeted customer segments. Define loyalty metrics and who owns them. Measurement – Track loyalty measures at each customer touch point. Proactively address the causes of excessive customer churn. Make sure that loyalty programs have a clear purpose within the loyalty strategy and that the return on investment for such programs can be measured. Enablers – Build technology capabilities that enable data mining and cross-organization integration. Align leadership, culture and values toward a customer-centric approach. Implement governance and journey management capabilities to ensure that silo-based turf warfare does not derail the necessary change. A common practice among loyalty leaders is to pilot loyalty-building initiatives to prove their value and gain broader organizational buy-in before making sizable investments in long-term programs. The key is to start with a high-impact first phase and then scale quickly. Loyalty is the result of multiple factors involving brand, customer characteristics, category involvement, cultural issues and a myriad of other considerations. Companies that continue to base their market focus and position on a monolithic and overly simplistic view of customer loyalty may be investing in the wrong things for the wrong reasons. Even well-intentioned loyalty programs can hamper competitive effectiveness if they are not based on the right customer loyalty drivers. 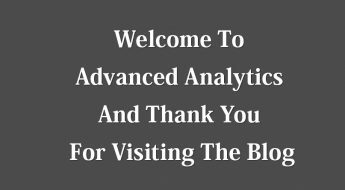 The advantage of the approach to building customer loyalty recommended here is that it integrates strategy, analytics and measurement to quickly put into practice the strategic changes that can have the greatest impact on business performance. By using this approach, companies can shape and deliver optimal customer experiences based on the unique loyalty characteristics of a complex customer base. This approach can help companies better understand what their customers are thinking and what motivates their purchasing decision – and, thus, can help companies keep those profitable customers. It’s a far better method than basing strategic decisions on how customers have acted in the past, which is often not the best predictor of future behavior. In the end, companies may find that the loyal customers they seek have been there all along, hiding in plain sight, simply waiting to be identified, understood and marketed to in the right ways. 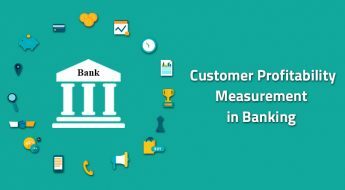 Why Is Customer Profitability Measurement In Banking Today So Badly Flawed, Grossly Misleading and Virtually Worthless?